I’m very exciting. Toady, I bought one of the most important books of markerting and branding. 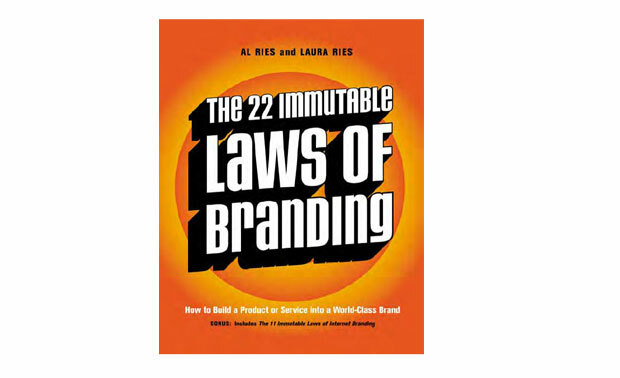 The great book begins with: “¿What is branding?. From a business point of view, branding in the marketplace is very similar to branding on the ranch”… absolutely masterly!! The Law of Expansion — The power of a brand is inversely proportional to its amplitude. The Law of Contraction — A brand becomes stronger when concentrations approach. The Law of Publicity — The birth of a brand is achieved through communication, not advertising. The Law of Advertising — Once born, the brand needs advertising to “stay in shape”. The Law of World — The brand must “own ” a word in the mind of the consumer. The Law of Credentials — The crucial ingredient for the success of any brand is its vindication of authenticity. The Law of Quality — Quality is important, but brands are not built only with quality. The Law of the Category — A leading brand should promotion the category, not the brand. The Law of the Name — In the long run, a Brand is just a name. The Law of Extensions — The easiest way to destroy a brand is to put his name to everything. The Law of Fellowship — To develop the category, the leader brand has welcomed the arrival of other brands. The Law of the Generic — One of the quickest route to failure is to use a generic name for a brand. The Law of the Company — Marks are Trademarks. Companies are companies. There are more of a difference. The Law of Subbrands — What Branding builds, it can destroy the creation of sub-brands. The Law of Siblings — There is always a time and place to launch a second brand, but is not a suitable strategy for any company. The Law of Shape — A logo should be designed to meet the eyes. In both eyes. The Law of Color — A brand must use spaces on the opposite color to use its main competitor. The Law of Borders — There’re no barriers to limit the “branding”global. A brand should not have frontiers. The Law of Consistency — Brand is not created in a day. Success is achieved in decades, not months or years. The Law of Change — Marks can be changed, but infrequently and carefully. The Law of Mortality — No brand will live forever. “Euthanasia”is often the best solution. The Law of Singularity –The most important aspect of a brand is its concentration on a single idea. U must read this book, it’s masterly! !